Between sea kayaking, hiking, and frolicking with seals (note: our new friend Whiskers is pictured here to the right), we fit some solid cooking time in to the holiday weekend. 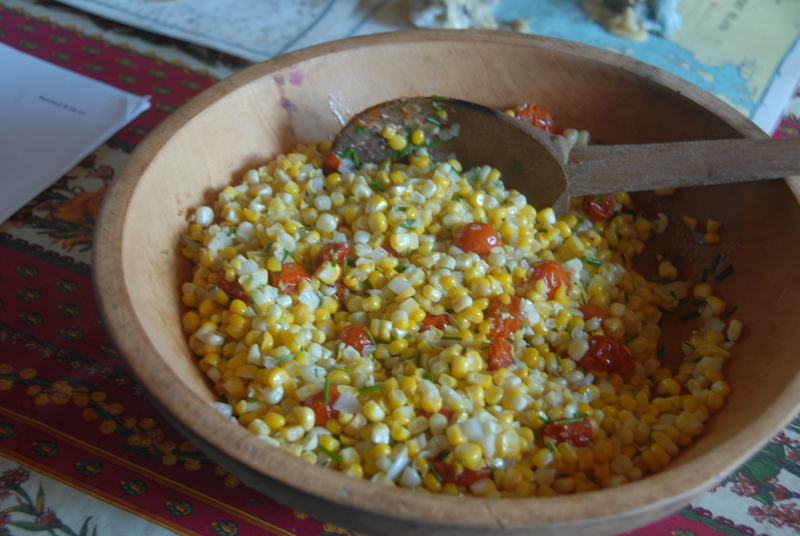 Summer’s sweet corn is up there on our list of favorite foods so we needed to do it justice. 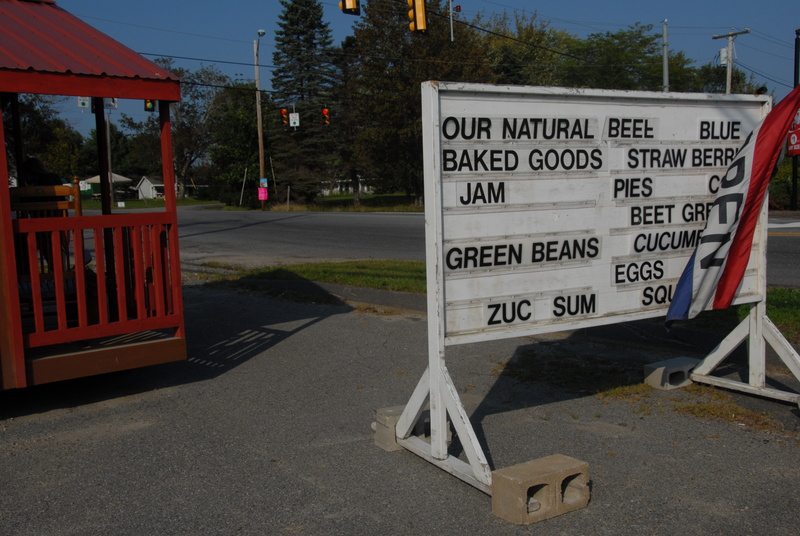 En route we hit the farm stand in Damariscotta to gather our ingredients. We bought them out of corn, snagged some cherry tomatoes, summer squash, and of course, wild Maine blueberries. 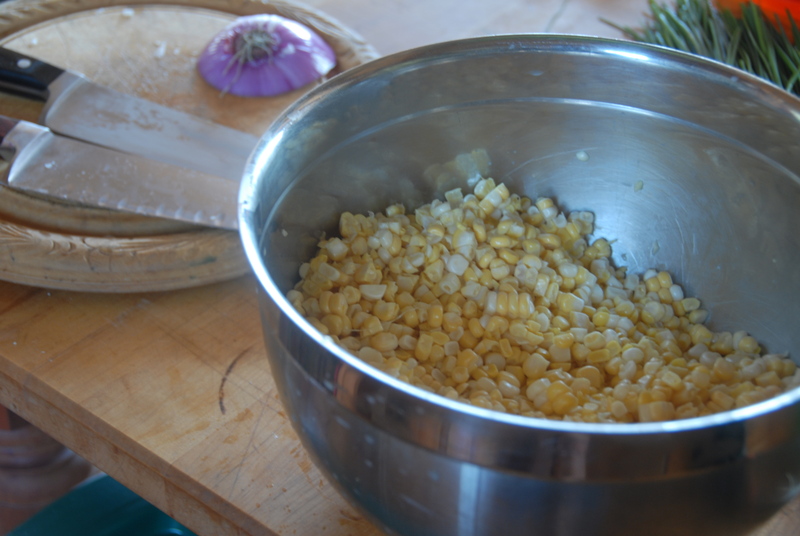 Back on the island, our first endeavor was a dish for a crowd — a corn saute fit for an end-of-the-season island gathering. 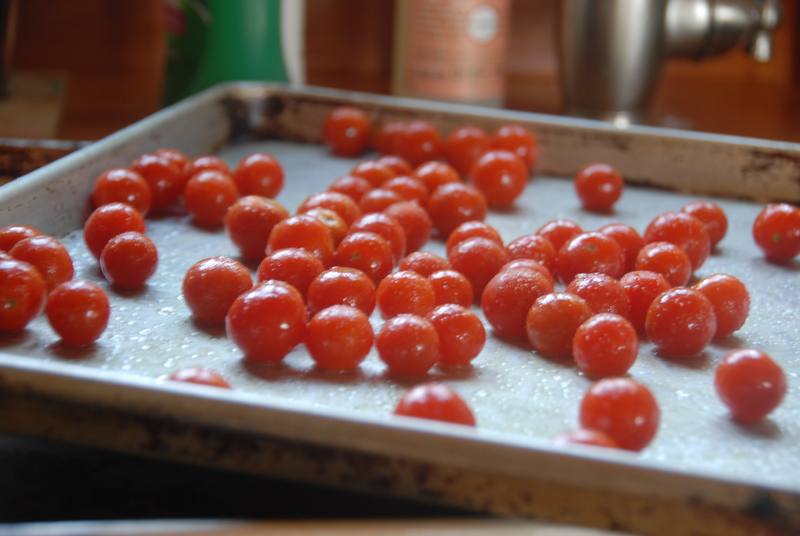 Place the cherry tomatoes on a pan, drizzle with olive oil and season with salt and pepper. Roast them for about 15-20 minutes until they are soft and slightly caramelized. Slice the corn off the cob and retain in a large bowl. Meanwhile, melt a few tbsp of butter in a large pan. Add the onion and saute until translucent. 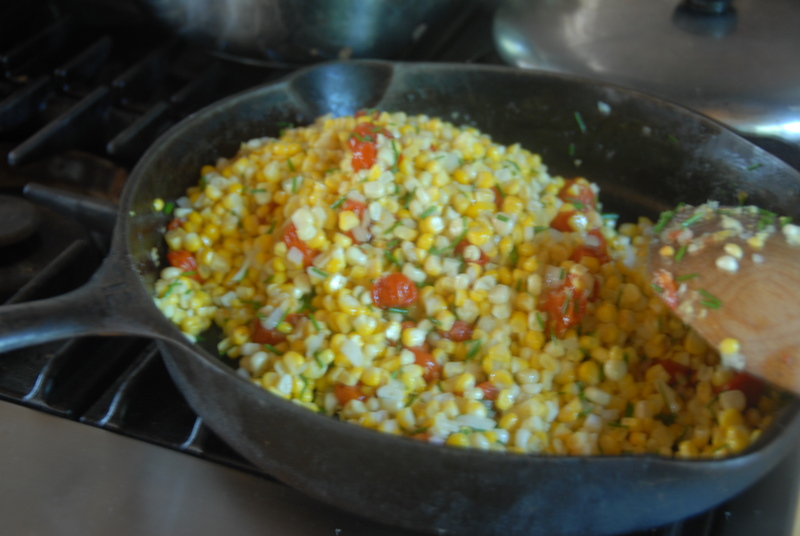 Add the corn and tomatoes, and saute until the corn is just cooked through… adding a tablespoon of butter here and there. Toss in the chives, season liberally with s&p, serve, and enjoy! This was a hit at the island party — what a spread! 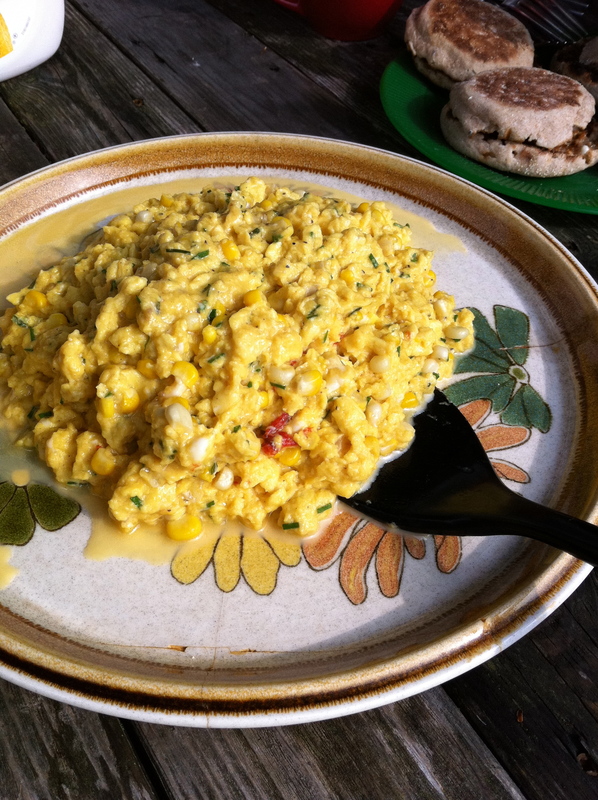 We threw the remains of the corn saute and a healthy amount of seriously sharp cheddar into some softly scrambled eggs the next morning! Delicious. You’d think we may have had enough, but we didn’t end our corn appreciation there… the corn piece de resistance – corn and summer squash fritters. 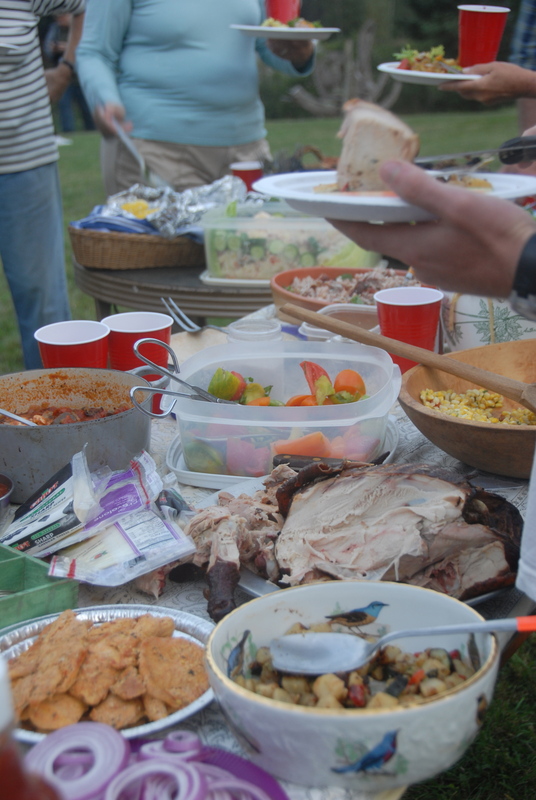 After a chilly dip in the Maine waters, we dawned our flannels and settled in for a home cooked Labor day feast. 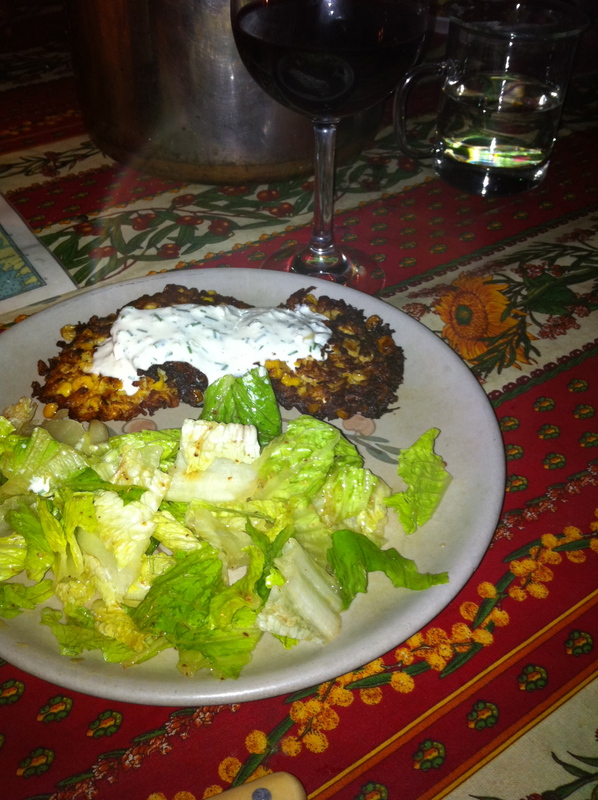 In a large bowl, combine the grated squash and corn. In another bowl beat together the eggs, cheese, onion and chives. Mix the egg mixture in with the corn and squash mixture. 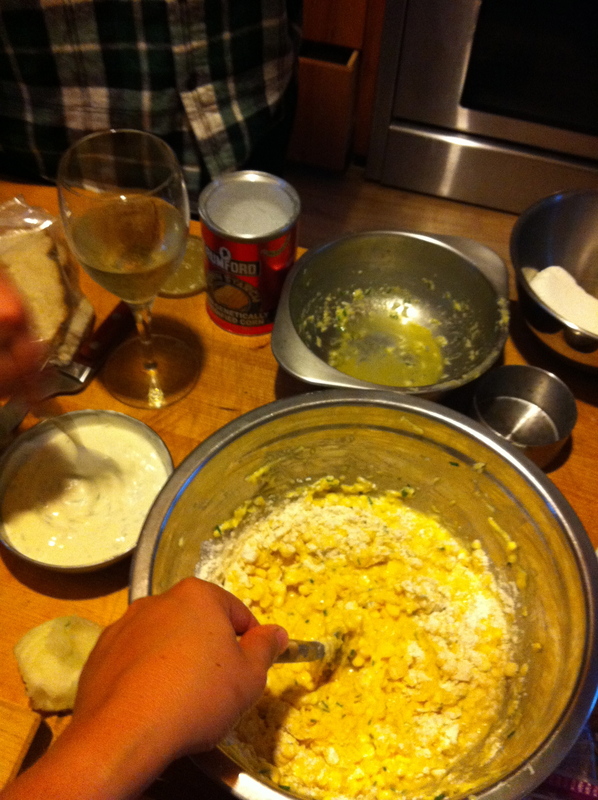 Add the flour, little by little, until the batter becomes cohesive but not too dry. Season with salt and pepper. In a large cast iron skillet, heat up about 1/4″ of vegetable oil. 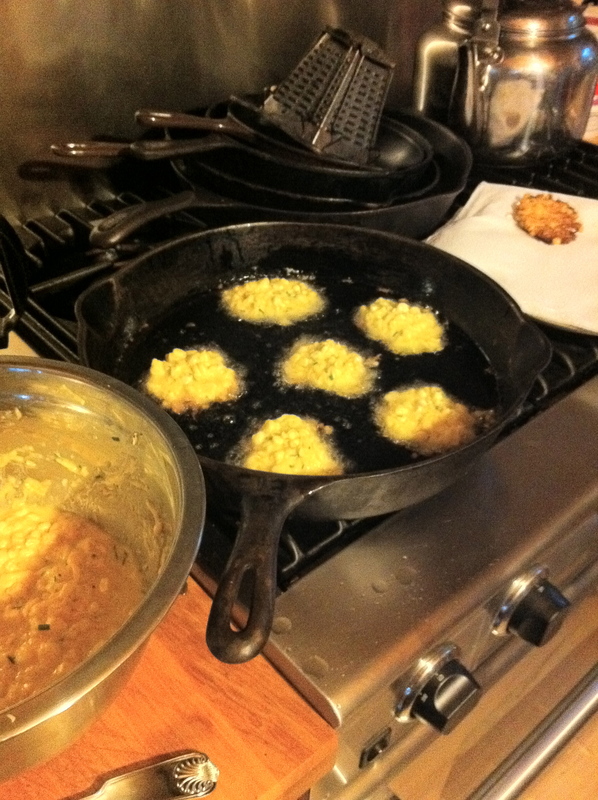 Using a heaping tablespoon of batter at a time, fry the fritters until they are golden brown and crisp on both sides. Place them on a paper towel to drain off the excess oil. These are truly sweet and amazing on their own, but we decided to make a delectable dipping sauce to accompany them. 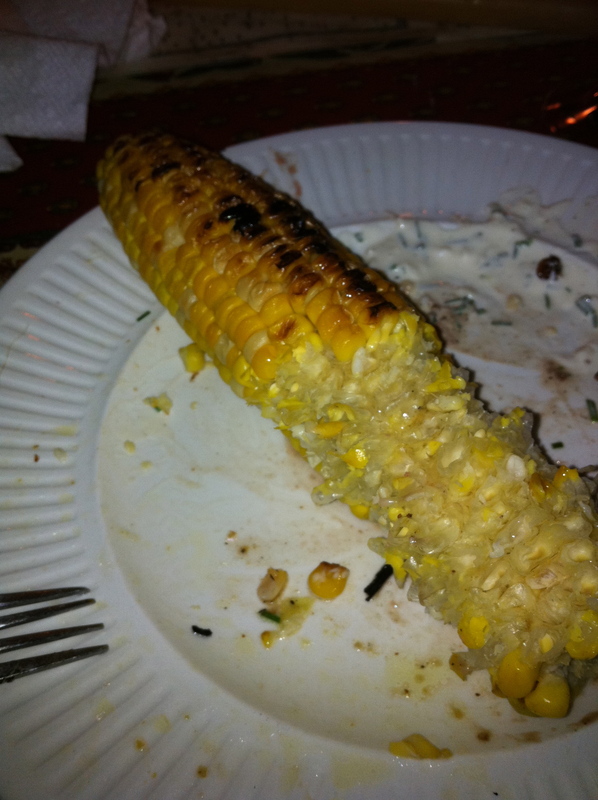 …oh, and some grilled corn just for good measure. As the weekend came to a close we reluctantly loaded up the boat heading back to the mainland. We turned our cell phones back on, read emails and faced our responsibilities – I guess the carefree days of Summer had to end at some point. But there’s always next year, so until then, here’s looking at you, corn. *A special thanks to Hillary’s Grandparents Brinna and Frank and sous chef Suz for helping us make the last official weekend of summer a delicious one.